How Can Rochester Hills’ Dentists Offer Treatment for TMJ? Patients who are experiencing several dental problems, as well as pain and discomfort on the face, jaw, and even the neck, may be having problems with their TMJ. The TMJ, or temporomandibular joint, is a joint in the jaw that can be the source of a condition called TMD, or temporomandibular dysfunction. Problems may arise where the joint becomes troublesome, causing problems such as worn and broken teeth, grinding teeth, and clenching jaws. Patients may also experience extremely sensitive teeth, headaches, and pain around the neck and above. A proper diagnosis of TMD can allow Dr. John L. Aurelia to assist patients in finding relief with the treatment of TMJ. Rochester Hills area residents can visit their dentist for treatments, instead of their primary care physician. While there may be surgical options for addressing the TMJ, many of these are extremely invasive and not always necessary. 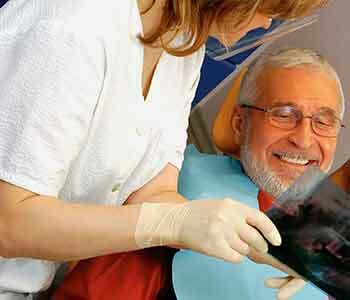 Once a proper diagnosis has been made, patients can visit their area dentist for TMJ treatment. TMJ treatment often consists of the use of a non-invasive oral appliance. 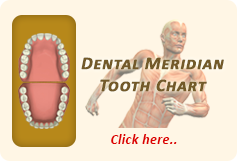 These oral appliances can be used to relieve the tension and damage caused by TMJ disorders. The mouthguards are worn to help realign the jaw and keep persistent pain and discomfort from occurring. They can also help with reducing the need for dental work due to damage caused from clenching and grinding of the teeth. Many patients do this overnight without having any control, and may find that they are replacing restorations that are becoming worn or broken. Using oral appliances can keep many of these problems under control and give the patient peace of mind regarding their oral health. The reduction of pain and discomfort can allow patients to go about their life without having to worry about the problems associated with TMJ disorders. Dr. John L. Aurelia is committed to providing patients with a non-invasive way to relieve TMJ pain and problems. If you live in the Rochester Hills area, call today to schedule a consultation appointment and find out if oral appliances and mouthguards can assist in relieving you of the problems associated with your TMJ/TMD.